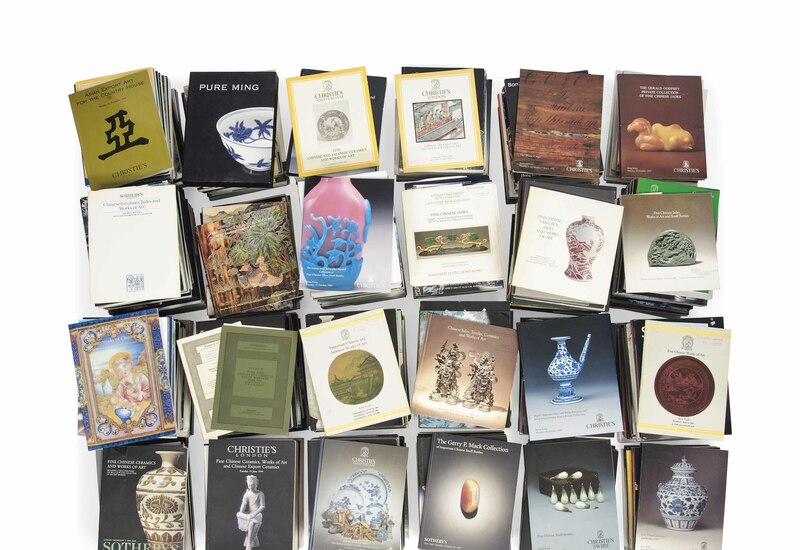 A LARGE STUDY COLLECTION OF ASIAN ART CATALOGUES. The group comprises catalogues from Christie's, Sotheby's, Bonhams, and Nagel, dating primarily from the 1980s to 2000s (600 approx.) . Please note that this lot should be marked with a red square in the printed catalogue and as such the lot will be removed to an off-site warehouse at the close of business on the day of the sale - free storage applies until 5pm on 30th May.